Former Detroit Lions running back Jahvid Best made his Olympic debut on Saturday, running the 100m in Rio. He became the first track and field athlete to compete at an Olympics after playing in the NFL. You probably know that the United States is about to win its 1,000th Olympic gold medal. Think about that for a minute – 1,000 GOLD medals. It could happen sometime this weekend. 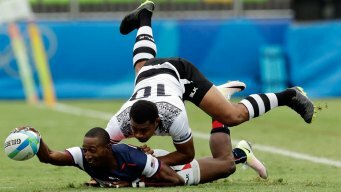 The U.S. men’s rugby team was eliminated from medal contention after losing to top-seeded Fiji 24-19 on Wednesday. 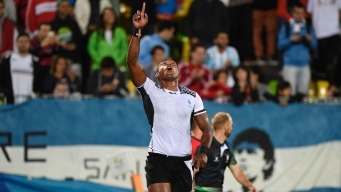 RIO DE JANEIRO (AP) — Sonny Bill Williams has been ruled out of the Olympic rugby sevens tournament after injuring his left ankle in New Zealand's shocking 14-12 opening loss to Japan.